Jack Whitten, Spiral, 1988. Courtesy the artist. Please join us for The Artist’s Voice featuring Jack Whitten in conversation with Assistant Curator Naima J. Keith. 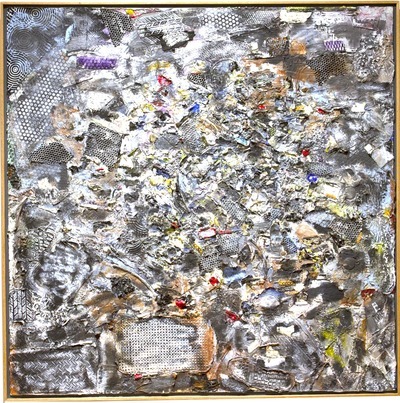 New York-based artist Jack Whitten’s (b. 1939) earliest experiments with painting date back to the 1960s, a period during which he created dynamic works inspired by abstract expressionism. Noted for their raucous colors and density of gesture combined with topical content, these artworks manifest emotionally complex meditations on Dr. Martin Luther King, Jr., the Civil Rights Movement and the Vietnam War.This program is free with museum admission. RSVPs are required. Seating is limited. Studio Museum members receive priority seating, subject to availability. Click here to RSVP. More than 70 percent of students involved in school-related arrests or cases referred to law enforcement were Hispanic or African-American, according to a report to be released Tuesday by the Education Department that raises questions about whether students of all races are disciplined evenhandedly in America’s schools. A former employee of a restaurant co-owned by Paula Deen has filed a lawsuit against the matronly celebrity cook, accusing her of condoning an atmosphere of sexual harassment and racism in her high-profile culinary empire. Walt Disney ‘s first African-American princess , Tiana , from the movie ” Princess And The Frog ” is being used to tell ” Dig’N’Dips ” Watermelon dipping candy. The first full day of the Selma-to-Montgomery commemorative march started shortly after 9 a.m. Today with about 125 marchers. While we’re on the subject of The Movies, I can’t shake a need to weigh in on a film that should have been topical as well as action-packed, a movie that had all the ingredients for passion, drama, and a strong social message, not to mention eye-candy CGI . Bill Hosley, Connecticut’s madly brilliant historian, takes off quickly, urgently, through Hartford’s Old North Cemetery, a place of forlorn but enduring beauty. Democratic New Jersey congressman Donald M. Payne, the first African American to represent the state in Congress, has died, NBC New York has confirmed. He was 77.